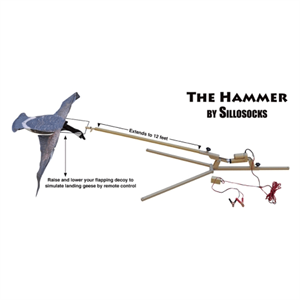 This Hammer Machine with Pole (SS4502PL) by Sillosocks Decoys is new remote controlled device will raise a Sillosocks Flyer from the ground up to 13 feet high in the air! The transmitter has up and down arrows. When you let off the button the piston driven arm stops! This allows you to remotely land a flyer at the appropriate time when birds are approaching. 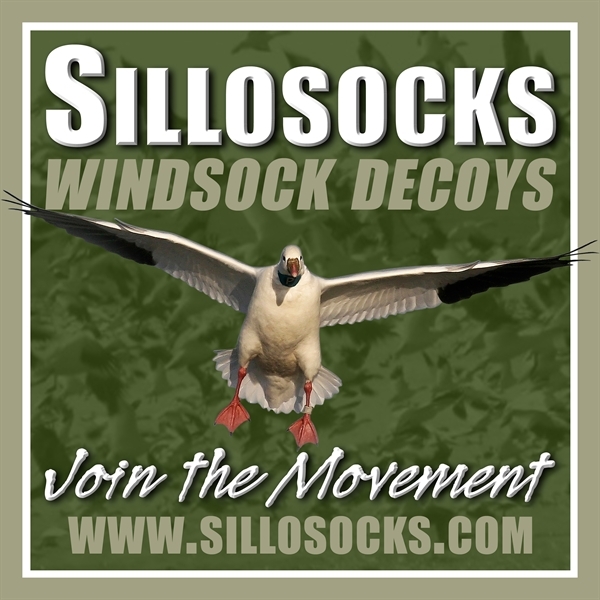 This Unique device is perfect for Adult Snows, Canadas, and Ducks! Runs on any 12 volt battery such as lawn tractor or small sealed batteries. This unit comes with the hammer machine, a 12' telescopic pole, and flyer bracket. Not included is the flyer or the battery. 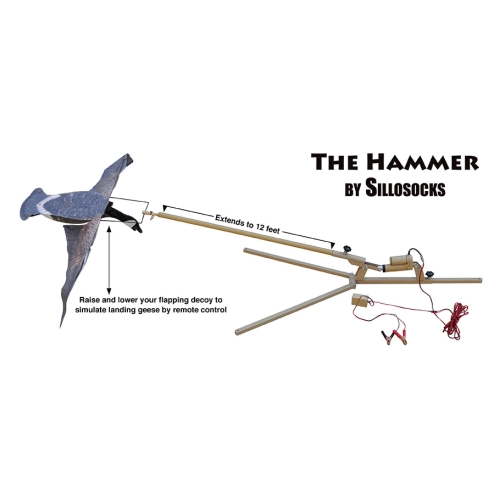 This Hammer Machine with Pole (SS4502PL) by Sillosocks Decoys will help you finish more finicky, decoy shy birds! This video shows the hammer machine on the right and the son of stalker machine on the left. **SALE** NORMALLY $170EA., NOW 149.95EA. BEST PRICES OF THE YEAR!